For premier service in sales, installation and repair of your automatic gate operators and controls, depend on the expertise of Tulsa Home Guard, Inc. At our company, we have a thorough dedication to providing personalized service and professional workmanship to all our customers. No matter how simple or complicated the assignment is, we will solve it. Let us help you secure your commercial or residential location today! If you are unsure about what brand, design or type of gate you want, let our qualified staff recommend the best gate for your needs. We have professional and dependable staff ready and willing to offer you the best care and installation of your new gate. Call us at your earliest convenience and have your preferences satisfied by our endless variety of gates and operators. 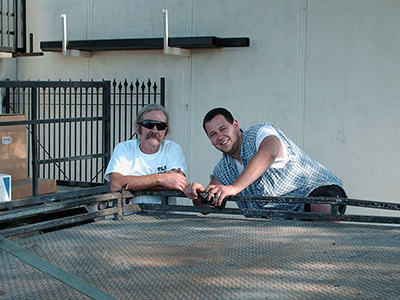 We take great pride in our family owned business which was started in 1980. We hire great dependable staff because we know how important it is to have people you can count on. We have built our business from the ground up and have enjoyed serving the Tulsa and surrounding communities for many years. If you are looking for great friendly service and people you can count on, you have come to the right place. Call us today at (918) 584-4923 for a free consultation.